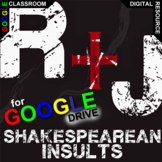 Get your students excited about reading William Shakespeare by hosting a Shakespearean Insult Competition. A competition bracket for up to 30 students has been included. 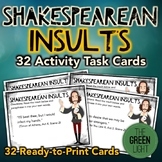 A short word list/worksheet of Shakespearean insults. 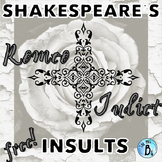 It is great to split students up into two groups, the Montagues and the Capulets, and have students "feud" using the Shakespearean insults. 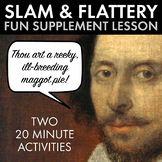 Includes insults from Shakespeare's plays. 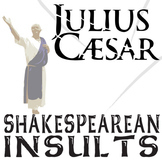 Students choose one word from each column to create their own insults. 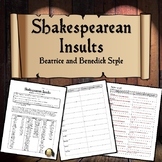 A list of great, original, insults created by William Shakespeare. 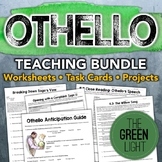 Brilliant for using in drama lessons as a stimulus for improvisations, or in English class - get the students to devise their own! 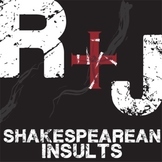 Submit your own Shakespearean Insults! 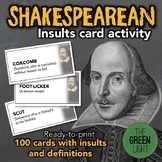 Log for recording, predicting and defining daily Shakespearean Insults. 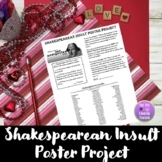 Shakespearean Insults Word search, free version. 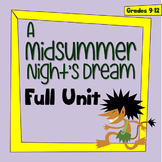 A Midsummer Night's Dream: Engaging Shakespeare Unit!